View More In Compact Refrigerators. Marshall Fridge proudly features authentic Marshall Amp parts. 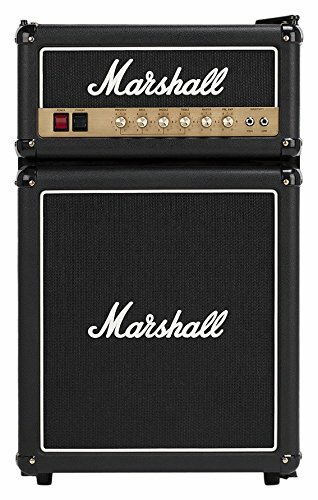 With genuine Marshall logos, fret cloth, knobs that go to 11, brass finished faceplate and custom branded glass shelving, the Marshall Fridge is the ultimate combination of rock and refrigeration.